Prefer to upload inventory via a spreadsheet? 3. Fill in the corresponding fields to add Items and their corresponding Variants. 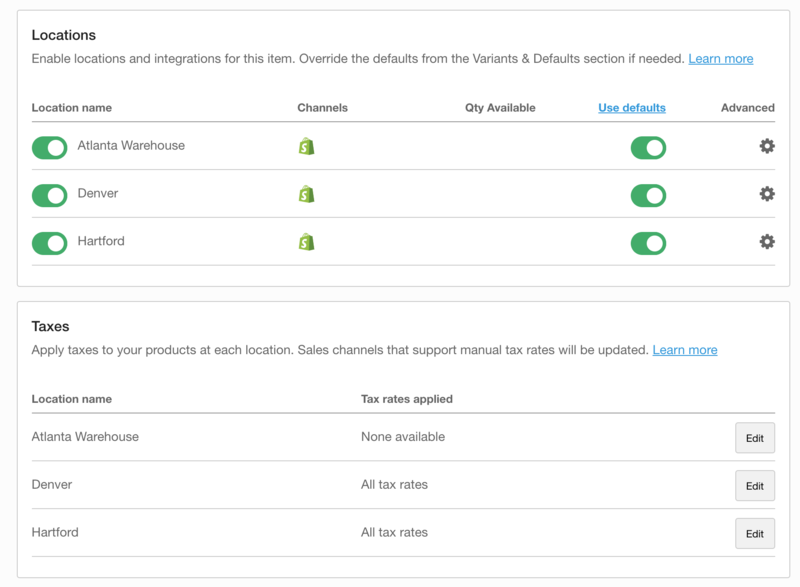 Shopventory offers three "layers" of differentiation: Category, Product Name, and Variant Name. Variant: Size 8 ... etc. Variant: Mens - Size 9 ... etc. It depends on what makes the most sense for your business, but the tools are all there! SKU and Barcode fields are optional when creating Items. SKU numbers must be unique to each Variant. Barcode numbers can be re-used across multiple Variants. Simply click on the Generate SKU option to generate a SKU number. NOTE: Active products appear on your point of sale. 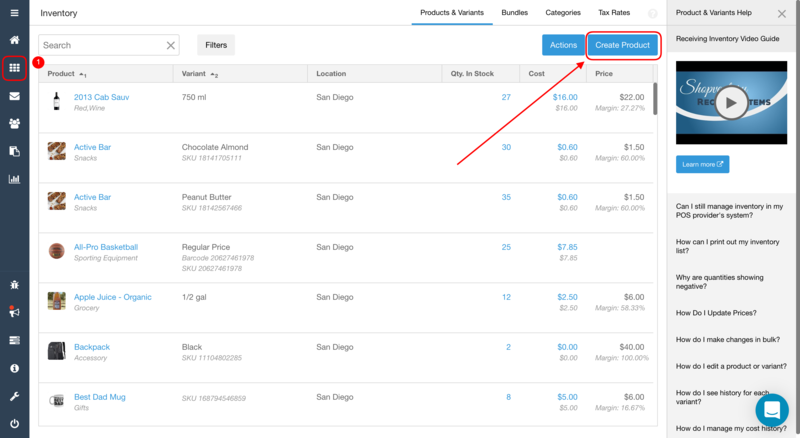 Inactive products will not show in your register and will only be accessible in Shopventory. 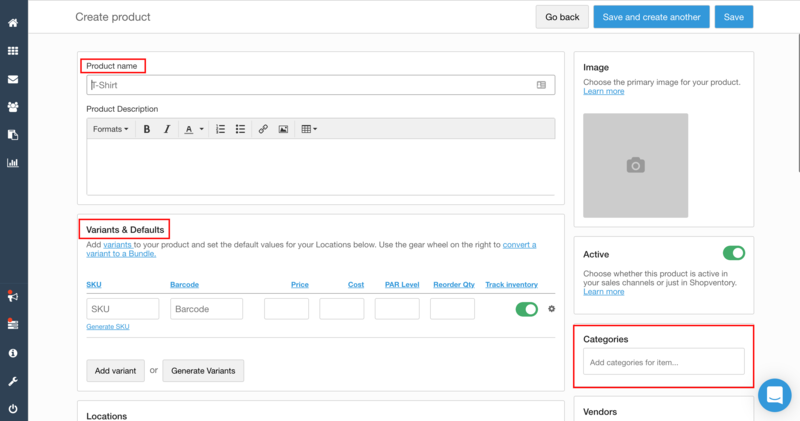 To enable your Items and to enter List Prices, Costs, and Quantities, simply toggle the Location to enable those fields. Once information is entered, simply scroll down to select your applicable Tax Rates. For help setting up your Tax Rates, see our article on Tax Rates. Feel free to experiment and get creative! If you need ideas. Check out this post from the Shopventory blog for tips on maximizing your tools!